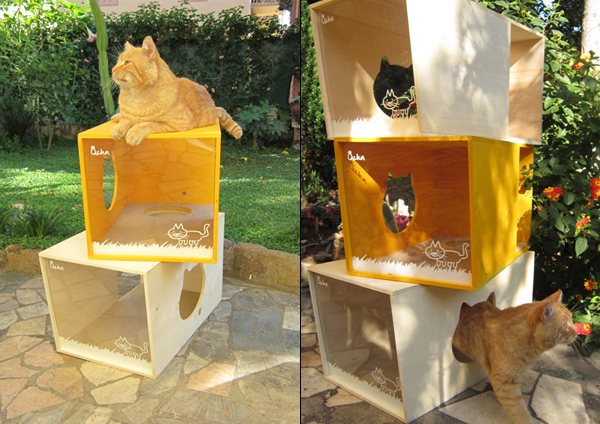 Overview: Even if you don’t have cats, you’re probably familiar with those carpeted climbing towers and just how aesthetically atrocious they are. Not cute! 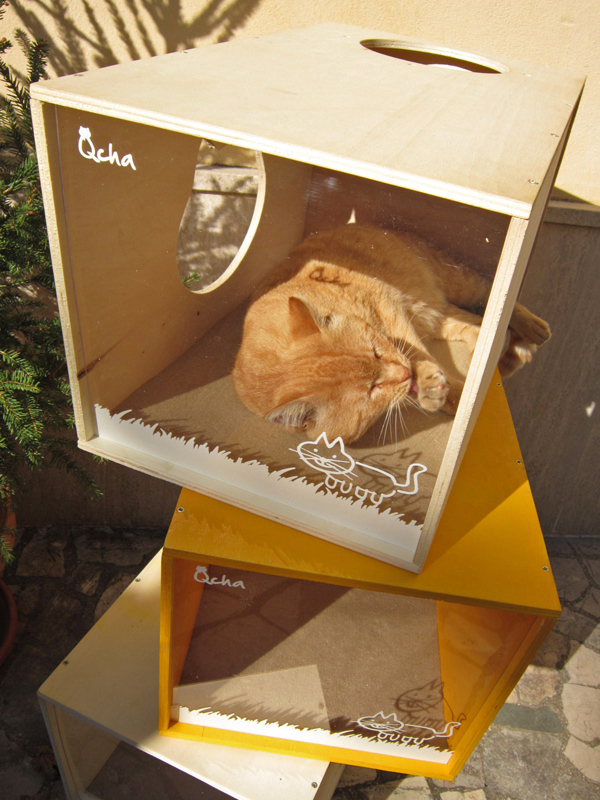 The Qcha cat house provides the same sense of play to your cat all without the ugly! 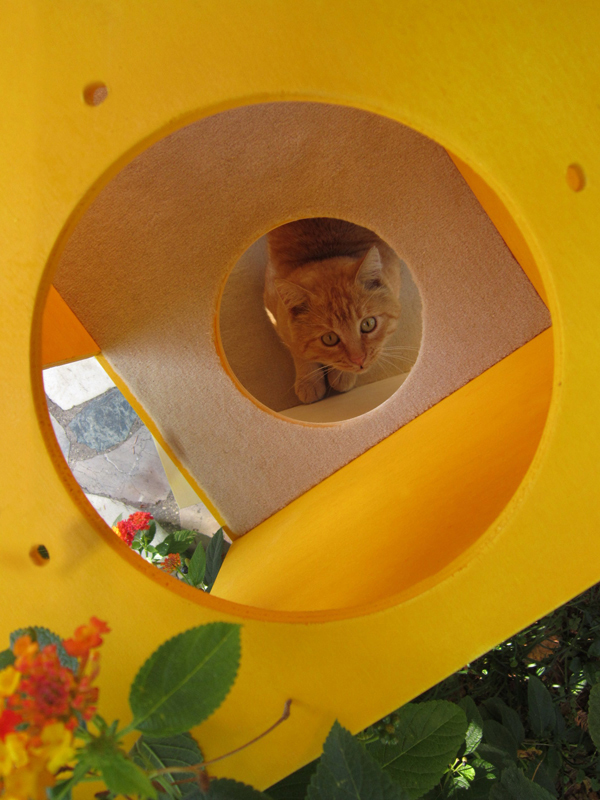 Each modular box has holes on dedicated sides that allows them to be mixed and matched and combined into maze-like structures that will keep kitty entertained for hours. Carpet inside also provides a place to claw and nap.